I had a wonderful, two-month-old iPhone X that had a cool feature: Water resistance. So I figured that if I can splash it with water, then I can dunk it in water. And if I can dunk it in water, then I can throw it in water. So that’s what I did. 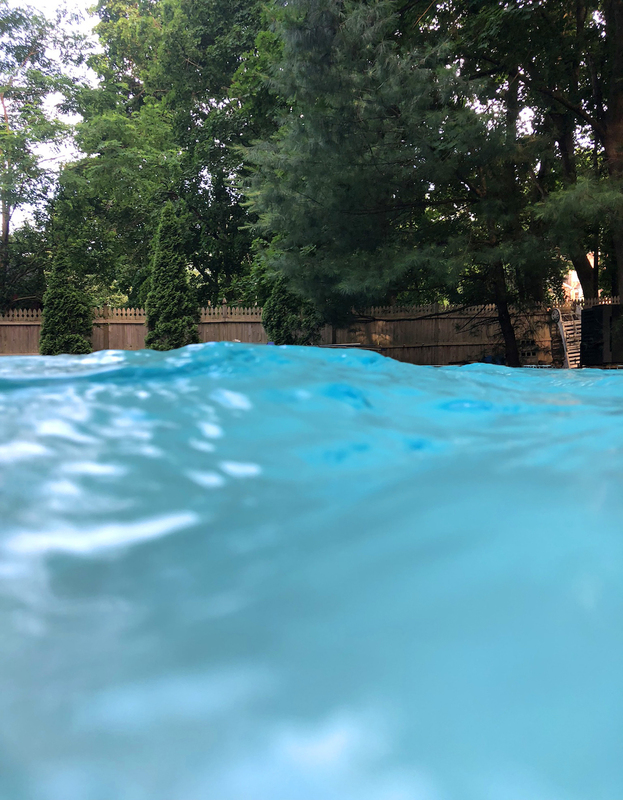 I was swimming in my parents’ pool when I decided to put my phone’s water resistance to the test. First I took it under water in the three foot deep part of the pool. All was fine. Then I took it underwater in the five foot deep part of the pool. All was fine. Then I threw the phone about 20 feet into the air and let it fall 15 feet under the surface of the water to the bottom of the pool. All seemed fine, so I repeated that process three times. All wasn’t fine! After leaving the phone at the bottom of the pool for about five minutes, I went to get it. But that’s when the screen started to flicker like the stage lights at a rave concert. Immediately after, the phone made a weird buzzing/crunching sound like a bumble bee being zapped by a 2,000 watt bug zapper. Then the screen had the same grey static that I saw when I turned the TV on Channel 77 when my family didn’t have cable TV. Then I put the phone in a plastic container filled with rice and I left it there overnight. The next morning…nothing. The following day, nothing. He was dead and on his way to see Tupac in thugs mansion. 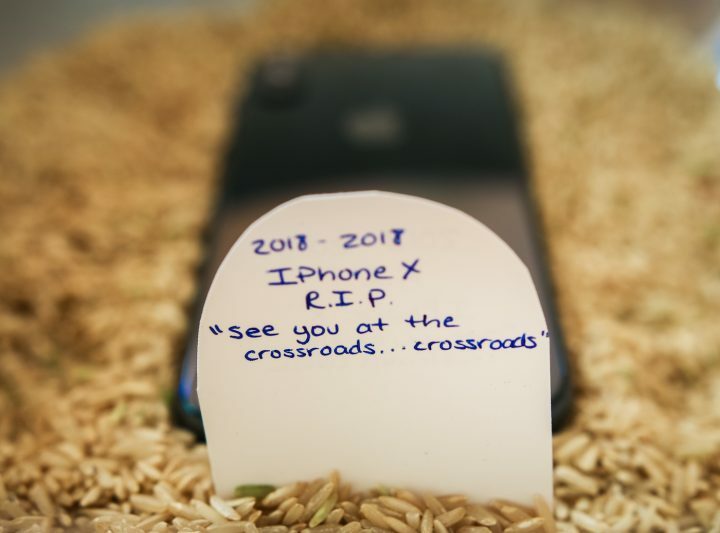 I didn’t know if the rice was there to help the phone or to bury its remains as it died a slow painful death. All because I overdid it! Now it’s a few days later and I got another iPhone to take its place. With this new phone, one thing’s for sure…I’m not overdoing ANYTHING! In fact, I might not even use it for telephone calls because I don’t want to accidentally spit on it and destroy it with water damage. Lesson learned: Don’t overdo it. Just do it. Nike. Here’s the last picture that my phone took before it died. Rest in Pieces.